20th May 2017 – Current World Junior Champion Jaheel Hyde (JAM) and former World Junior Champion Steph Twell (GBR) made debuts with a difference on Saturday evening but both with pleasing outcomes. At the IAAF World Tour meet in Kingston, Jamaica, Jaheel had his first race as part of the PACE roster. He confirmed what we already knew, in that he is an incredible talent with a very bright future as he placed second in the 400m hurdles in a new personal best time of 48.52 seconds. At the same meeting, Schillonie Calvert-Powell (JAM) and Jenna Prandini (USA) placed fifth and sixth respectively in the 100m. 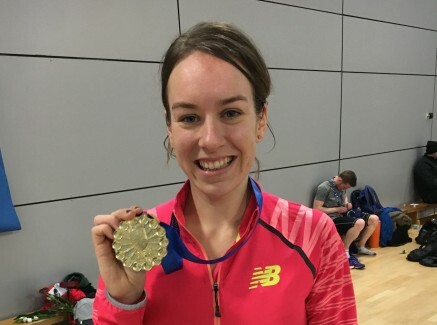 At the Night of the 10,000m PB’s which incorporated the British Championships and World Championship Trials, Steph Twell (GBR) made her debut over the furthest track distance finishing in second place and recording a time of 32:16.23 narrowly outside the London 2017 qualifying time of 32:15.00.